Are you sick of the gym? You don't want to run around aimlessly, neither do we! 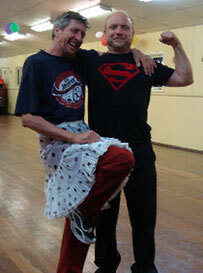 Dancing is fitness and fun let us show you how! A picture is worth a thousand words. Dancing is fun! Anecdotally, students often report a much more positive outlook on life after discovering dancing and, with it, friends and an exciting, healthy lifestyle. Clearly, dancing doesn't directly solve any of life's problems (except possibly fitness), but it can provide both respite and support while making changes. While we place a strong emphasis on the teaching, at Cool Cats we also want everybody to have fun. This includes a relaxed and fun class atmosphere, but also regular social outings to dances and other 'non-dance' events such as BBQs and the movies. We believe that dancing is a physically and mentally rewarding sport. Dancing provides valuable social skills and integrates various disciplines such as physical movement, musical appreciation and public performance. Dancing can help build self confidence. Cool Cats is a retro dance studio focused on teaching people of all ages how to dance in a fun, positive, and supportive environment. We pride ourselves on conducting lessons in small groups in a space that helps learning. 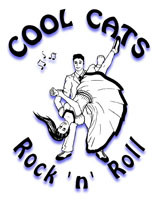 Cool Cats Rock ‘n’ Roll is dedicated to helping dancers of all proficiency levels Take the Next Step in their dance journey - and understand that this will be something different for every dancer. Whether it is achieving confidence in the first figures learned, having more fun on the dance floor, or serious examination of dance mechanisms and technique, we want to help people achieve the most out of their dancing! We aim to keep 'retro' dance styles vibrant. We push ourselves to provide the very best for every dancer and to give back the most we can into the greater community. We believe in ongoing training, development, and evaluation for teachers and assistants to improve their skills, knowledge, and qualifications. This involves consideration to both dance and non-dance aspects of teaching so that students will continue to receive the best from their instructors. Cool Cats instructors are qualified through the ARRDC, so you can rest assured of receiving knowledgeable and experienced teaching. We also encourage our regular class assistants to examine dance theory, acquaint themselves with both the lead and follow roles, and pursue formal qualification through the ARRDC as their knowledge, experience, and inclinations dictate. Furthermore, the training never stops as instructors and class assistants alike continue to learn further dance styles, exchange skills and ideas with other professionals, and examine their own dancing. 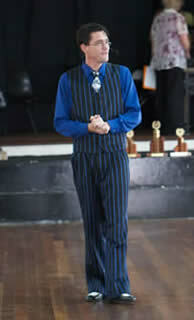 Nathan has been dancing since 1996 and turned professional in 2002. 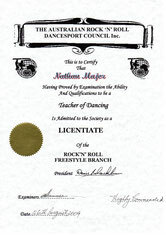 Nathan is a qualified instructor (Licentiate - Australian Rock ‘n’ Roll Dancesport Council) in a variety of styles, including aerials (lift-work). Nathan competed successfully at State and National level competition and now regularly adjudicates at National events. However, he is most proud of the competition efforts and achievements of the students he has helped coach. Nathan looks forward to many further years of dancing with past, present, and future students of every description. 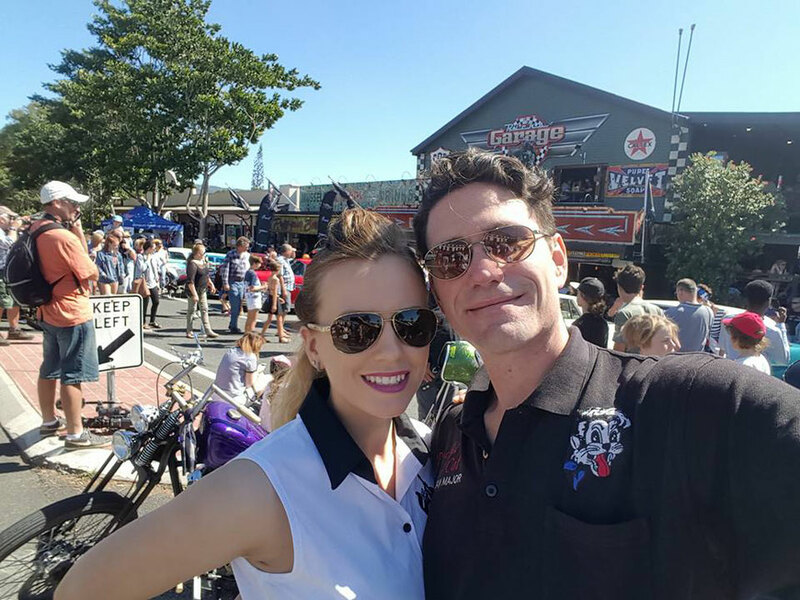 Nathan is committed to the future of Swing, Rockabilly, Rock ‘n’ Roll, and Blues and continues to develop his skills, qualifications, and passion so that he may continue to promote and inspire better dancing, helping more dancers Take the Next Step. Helen is a qualified instructor in Rock ‘n’ Roll (Australian Rock ‘n’ Roll Dancesport Council) and is a degree-qualified adult educator. Helen has been dancing for over 15 years and sees dance as the ultimate lifelong learning experience with a never-ending repertoire of skills to be learned and put into practice. Consequently, she gets great joy out of both her own learning and that of others.